Over the weekend Lamborghini North America invited us out along with a few of our clients to push their cars to the limits! The event took place at The Thermal Club, home to many other performance driving schools, and the perfect place to experience super cars. 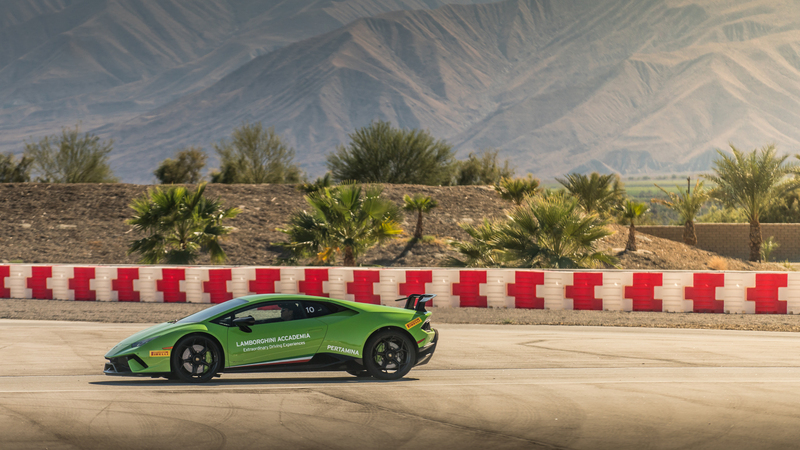 From slaloming in the Aventador S to hot laps in the Huracan Performante the cars were driven to their fullest potential! 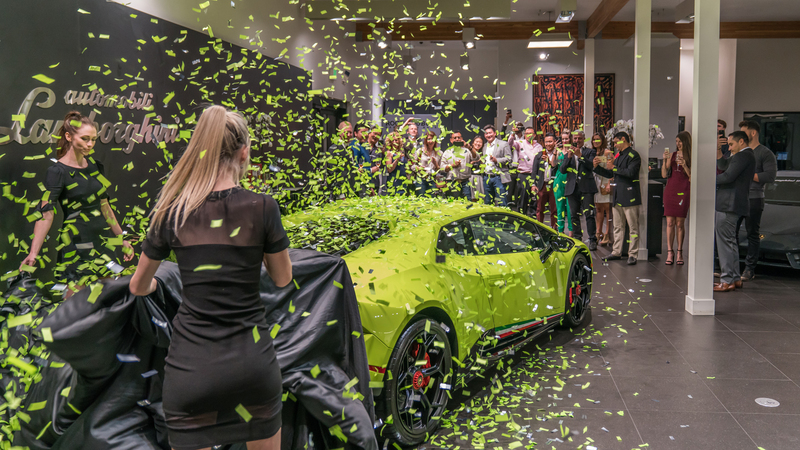 Over the weekend a special client of ours took delivery of his new Lamborghini Huracan Performante in Verde Themis! This delivery wasn’t your everyday swing by the show room and pick up the car. Instead we decided to make it a night of entertainment! In the company of friends and family, as well as the O’Gara Coach team the new bull was welcomed to the States. The night consisted of cameras constantly flashing, a display put together by Roger Dubuis, toasts made with Louis XIII Cognac and Ruinart Champagne, as well as matching confetti for the big moment! On Sunday October 8th, we defied expectations. The track only, Aston Martin Vulcan was in attendance along side the Aston Martin One-77. The day began at 7:15am sharp as the Vulcan was delivered and from there the attendance only began to grow! We can’t say thank you enough the JP Logistics for the smooth and safe delivery, and to those who brought cars as well as those who attended! This wouldn’t be possible without the car community. 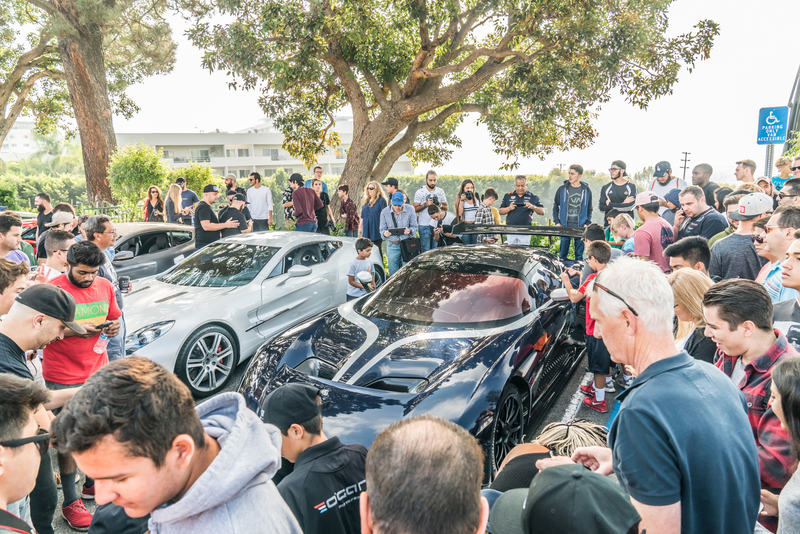 In attendance this month were a crowd of great cars, not to mention a Bugatti Chiron, 2 La Ferrari’s, a Lamborghini Huracan Performante, Lexus LFA, Ferrari F40, and many others! With the fall season here and the temperature cooling down we can not wait for the months to come! Enjoy the gallery below and see you November 12th!